Flexi disc 33 rpm with on A- side Tony Banks 'For A While' (outtake 1.45 minute) plus Brand X 'Don't make waves' (first 2.40 minutes of the song). Both with introducing German spoken intro. On B-side Genesis-interview with Tony Banks and Phil Collins. 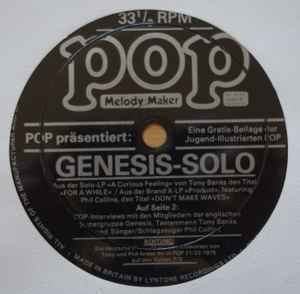 The flexi came free with German magazine POP 21/22-1979.